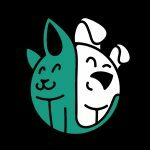 If you’re looking for a great yet inexpensive toy to keep your cat mentally-stimulated, FYNIGO has something to offer. 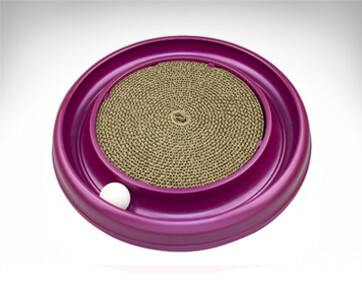 Its Cat Interactive Toy takes the classic roundabout interactive cat toy and ditched the ball. 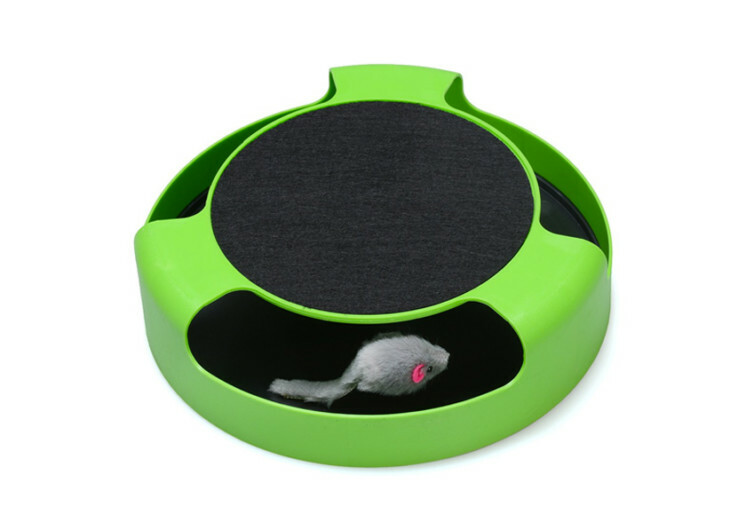 Instead, FYNIGO thought it more interesting to put a mouse-like device in the toy. The design of the FYNIGO resembles that of a ball roundabout. It has a circular channel along its wall. However, instead of leaving the entire system exposed for your cat, there are three covered sections. It mimics hiding spots for the little grey mouse running in circles in the FYNIGO. With a diameter of 10 inches and a height of 2.6 inches, the FYNIGO is bigger than other interactive toys that employ the same design. 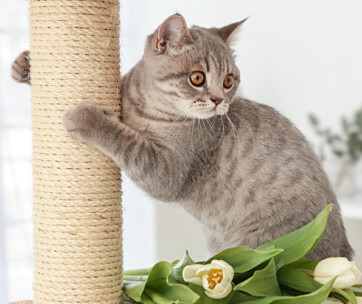 What is remarkable about this interactive cat toy is that the topmost section can double as a perch for your kitty. 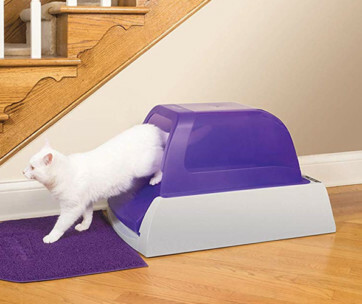 The top boasts of a scratching material so your kitty can also use this platform for sharpening its claws. There is one minor issue, though. Unlike other systems, the choice of material may not be as effective as those that use sisal rope. The top panel feels like it’s a medium-grit sandpaper. 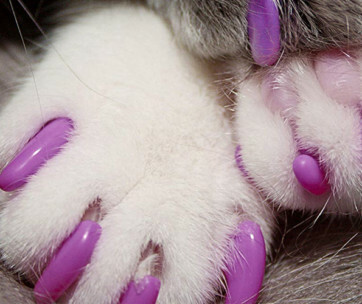 Nevertheless, some cats seem to enjoy scratching the surface. But the real use of the top panel is as a seat for the cat. It perches here, waiting for the gray-colored mouse to appear. This is where the real action and real fun begins. Unlike other interactive toys, the FYNIGO doesn’t require any batteries to run. It also doesn’t need electricity for your cat to enjoy playing with the mouse. There are no noisy motors to think about as well. This interactive toy comes with a unique design. If the cat pounces on the toy mouse, the mouse will “run” away. 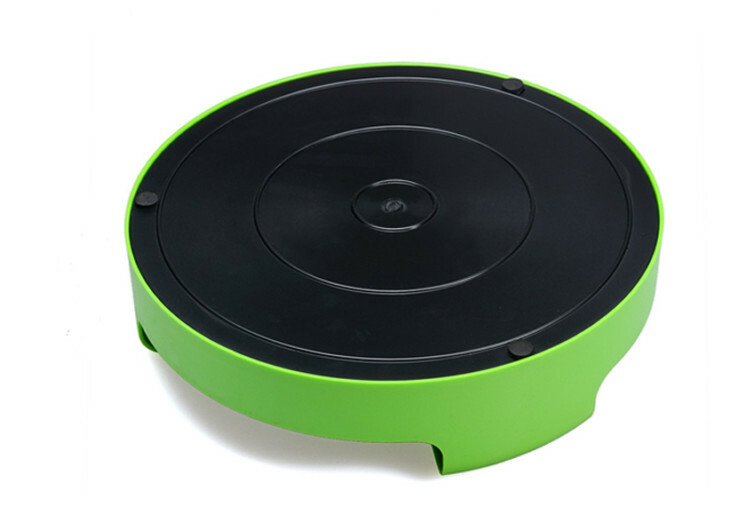 It rotates and follows the circular track. As the cat tries to pounce on the mouse, the mouse will only go faster and faster. It can stop, but only if the cat is able to press it or “pounce” on it dead center. This feline toy boasts of polypropylene construction. 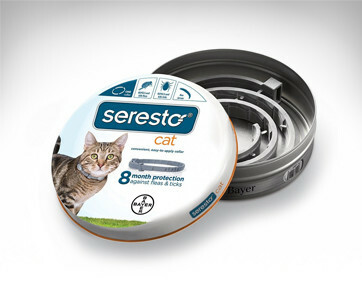 It is a safe material for pets, in case your cat decides to nibble on it. The FYNIGO’s design is quite ingenious. 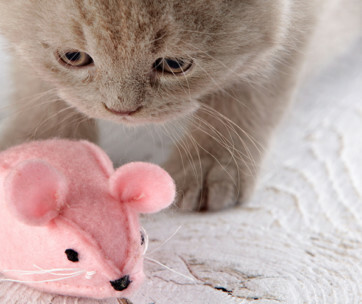 Its use of a toy that mimics a cat’s natural prey is also noteworthy. 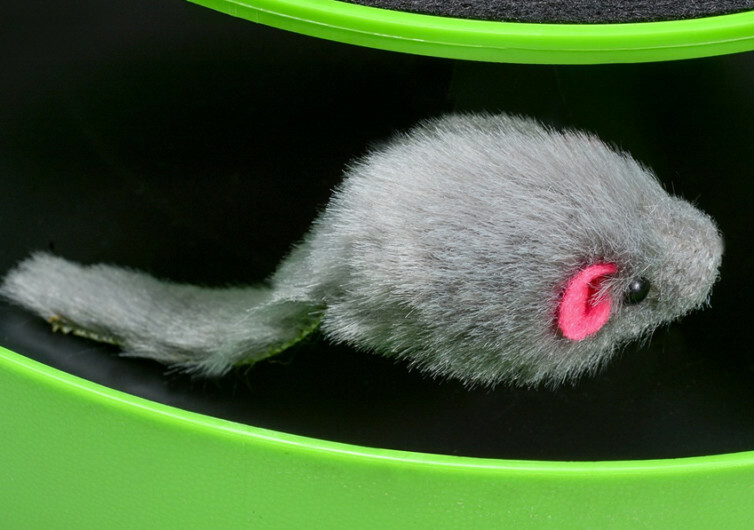 The absence of motors and batteries is also a testament to the brand’s practical approach to cat toy-making.